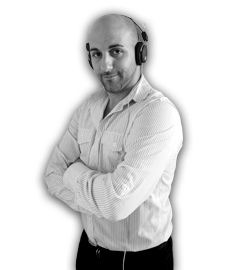 George Soteriou has been DJing for private functions, such as christenings, engagements & weddings, for 9 years. More recently he has DJ’d at local Greek Club Nights and has now decided to venture onto live radio with LGR. DJ Sooty has taken over the Monday Night slot with his brand new show “ELA PAME” from 7pm – 9pm where he’ll be playing a mix of new & old Greek Classics with a little bit of a twist each week such as Spanish, RnB & more!